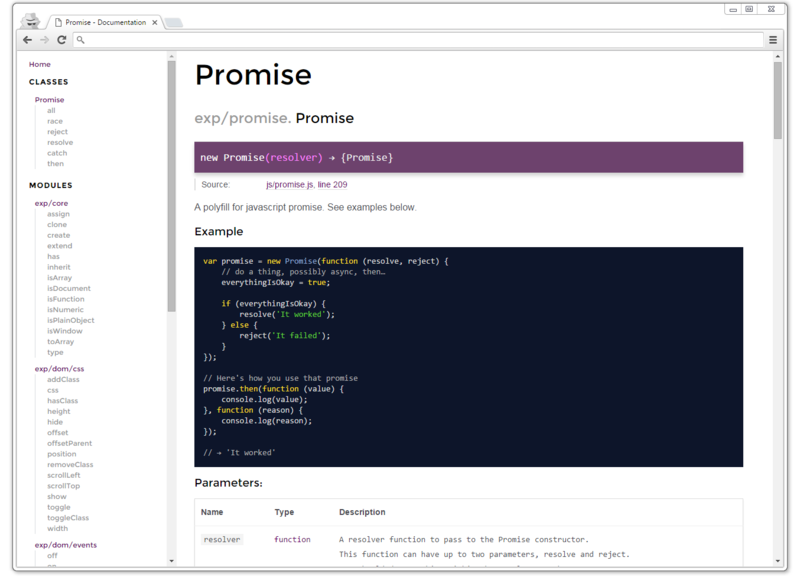 A clean, responsive documentation template theme for JSDoc 3. In your jsdoc.json file, add a template option. See the config file for the fixtures or the sample below. 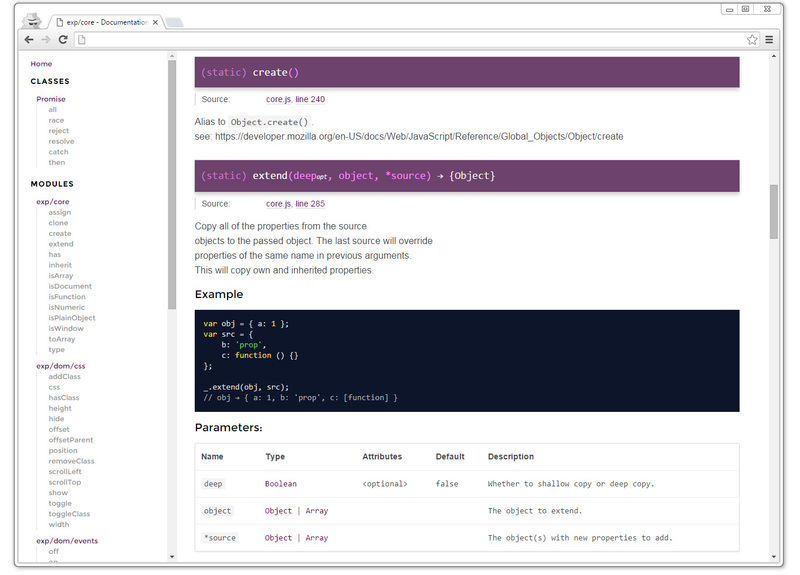 Place them anywhere inside your jsdoc.json file. Thanks to lodash and minami. Licensed under the Apache License, version 2.0. (see Apache-2.0).